Chair Covers There are 6 products. 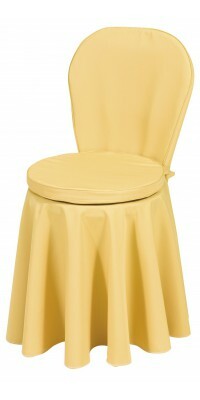 Corbara’s table linens: tailor-made chair covers for any type of chair. Beautiful and extremely practical to protect the most elegant seats or simply to renew the less new chairs, the chairs covers are available in two models: Rondò for chairs with curved seat-back, such as the classic Thonet, and Impero for the ones with squared seat-back; in any case, as it is a “tailor-made” production, we can produce covers for any type of chair: from the armchair to the garden one, from the conference chair to the one with armrests. 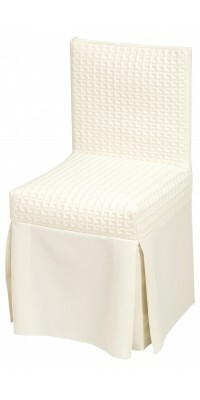 Three types of cover chair can be produced: “Quilted” (with inserts in quilted fabric on the seat and back-seat), “With outer Cushion” and “Standard” (that is simple, without quilt nor cushion); you can choose among six elegant colours, in the extremely resistant and wrinkle free 100% pol. Gabardine Plus, a very resistant material, wear and wash guaranteed. Remember that our chair covers are tailor-made, therefore each one is unique and customizable according to your tastes and needs (consequently, the images are only indicative). As it’s a custom-made product, a minimum of 40 pieces is requested. 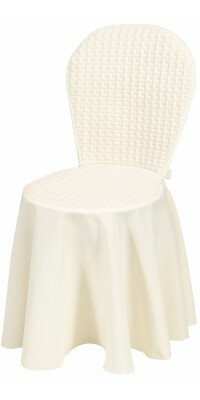 Chair cover, model Rondò, with quilted back and sitting custom-made depending on the customer's chairminimum order: 40 piecesMade of wrinkle free Gabardine Plus, 100% Pol. 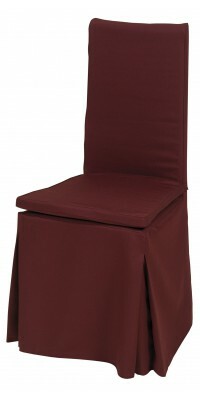 Chair cover, model Rondò, complete with cushion custom-made depending on the customer's chairminimum order: 40 piecesMade of wrinkle free Gabardine Plus, 100% Pol. 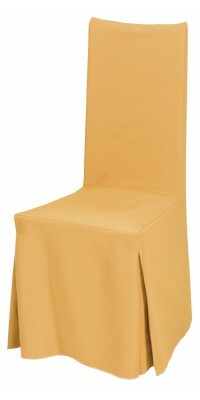 Standard chair cover, model Rondòcustom-made depending on the customer's chairminimum order: 40 piecesMade of wrinkle free Gabardine Plus, 100% Pol. Chair cover, model Impero, with quilted back and sitting custom-made depending on the customer's chairminimum order: 40 piecesMade of wrinkle free Gabardine Plus, 100% Pol. Chair cover, model Impero, complete with cushion custom-made depending on the customer's chairminimum order: 40 piecesMade of wrinkle free Gabardine Plus, 100% Pol. 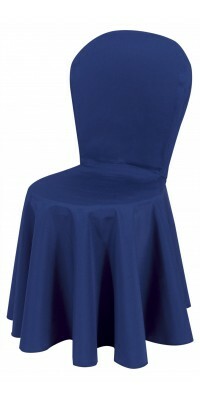 Standard chair cover, model Impero custom-made depending on the customer's chairminimum order: 40 piecesMade of wrinkle free Gabardine Plus, 100% Pol.